One of my favourite authors is – Prof. Puran Singh ji. Bauji recommended the writings of Prof. Puran Singh ji (PPSJ) very highly. PPSJ was an enlightened soul. His writings have the power to have a profound effect on those who are searching for spiritual guidance. 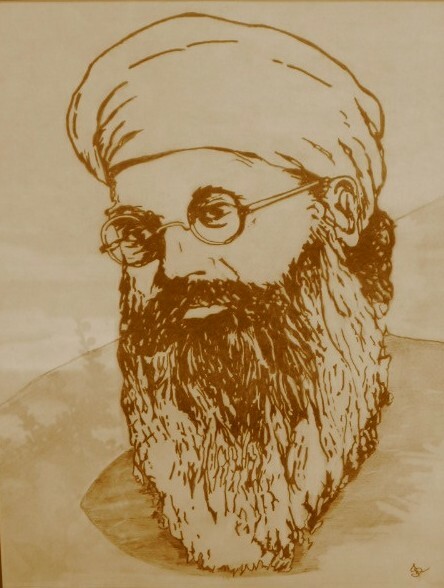 He has written many books both in Punjabi and English – for example –Spirit of the Sikh, The Bride of the Sky, Prakasina, The Temple of Tulips, Oriental Poetry. and put the sacred thread round my neck. The pearl on my breast, like a star, glittered, then slept with me. But I knew not the value of His Gift. One day it fell off my neck; I saw Earth and Heaven run to pick it up. More books from Dear Gurmukh pyare Professor Puran Singh Ji. Actually come to think of it, all PPSJ’s books are life changing. I hope you will find time to read some; all listed here are all in English!!! all these and many more english writings of prof.puran singh ji can be read,printed and shared on from this link.